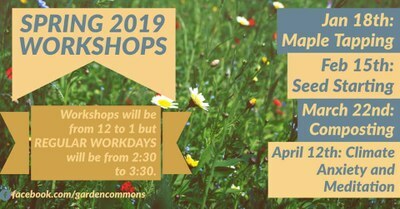 Anyone can work in the garden any time, but we'll gather together every Friday throughout the spring semester (Jan. 11 - Apr. 19) from 2:30pm to 3:30pm to start and tend seeds in the greenhouse, plant, weed, water, and harvest. No prior experience necessary.